The Corcovado Canopy Tour can be organized at various times throughout the day and lasts around 3 hours. Transportation to and from the main town is included. The tours consists of 9 platforms, interconnected with zip lines that are up to 30 meters high and 100 meters long! You should bring plenty of water, sun protection, comfortable covered shoes, a dry bag for any electronics, and insect repellent. Long pants and sleeves are not required. The Corcovado Canopy Tour is subject to availability. The guide must have a minimum of 2 people to make a tour. We recommend that you reserve as soon as possible so that they can organize a group. 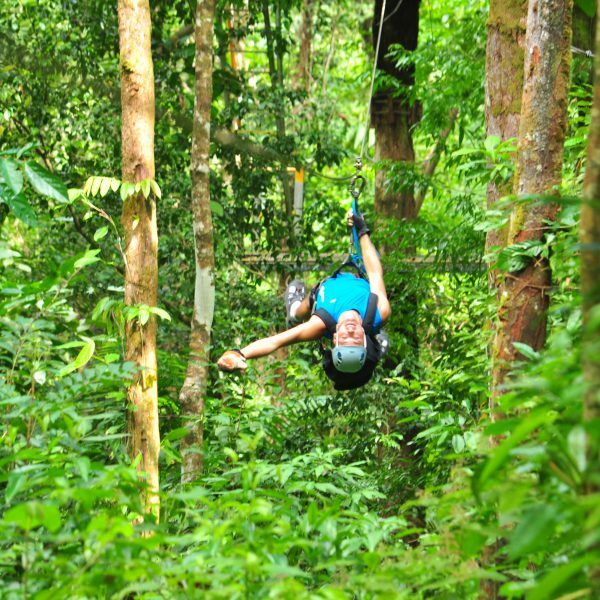 Unquestionably, the best zip-lining tour in Costa Rica is located at Monteverde (on the Northern border of Puntarenas). It has one cable that is higher than any other in Costa Rica. It has another cable that is longer than any other in Costa Rica. However, I believe that the best canopy tour is right here in Drake Bay simply because we have the best jungle canopy in the country. The Corcovado Canopy Tour is located in a primary jungle property that shares a border with the national park. It is owned and operated by a local Drake Bay family and was established in March 2007. Although the experience of zipping high above the jungle in Monteverde is worth having, I personally prefer the canopy tour. The activity is great for kids as this is not an extreme sport. It’s nothing like the adrenaline rush of bungee jumping or sky diving. These tours are so safe that fears almost always melt away after just 2 cable rides. Although the canopy tour in Drake Bay has a few cables that reach dizzying heights; you’ll most commonly be traveling lower down inside the canopy. 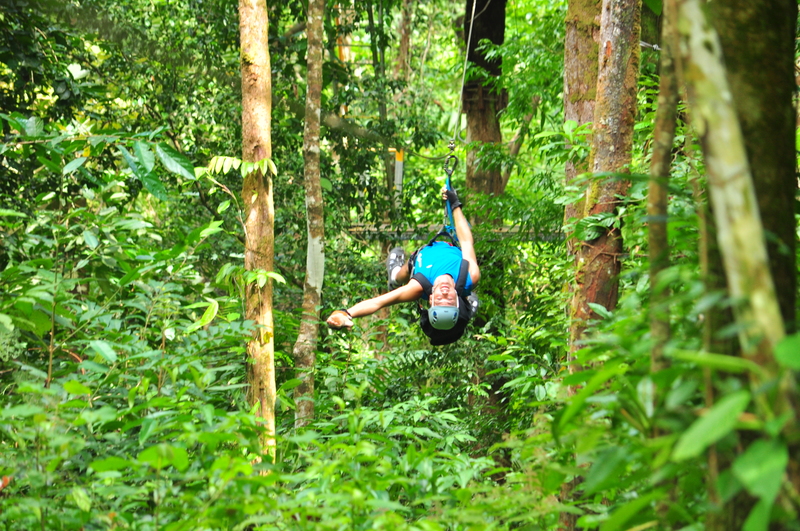 The experience can be described as “flying through the jungle”. and The Biolumenesent Plankton Swim. If you are an energetic person and think that after a day Corcovado National Park or Isla del Caño you will be ready for more, these light activities are all memorable experiences. 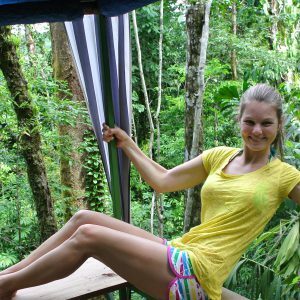 What Time of Year Should I Visit Costa Rica? What’s Happening With Gringo Curt’s? How Much Time Should You Spend in Drake Bay?